Professional Outdoor Photographer - is there a future for professionals? Is there a future as a professional outdoor photographer? As a professional outdoor photographer, I think about the future of outdoor photography, and where the art or profession is headed as a way to make a living. I'm asked questions like, "aren't you afraid that you wont be able to make money," and "what about all the competition - everyone has a camera these days and are literally giving away their photos just to see their names in print - doesn't that worry you?" Another common one, "what do you fear most about the future of your profession." People are assuming that the profession of photography is dying due to lower barriers to entry, more free time, more people with more money, and the improvement in technology, not to mention the changing culture and the fact that today's younger generation want what they want, and they wont be guided by rules and constraints. . . So here's my answer. It's always the same, "I'm worried about my health (I'm not sick, but as our bodies wear out, it's harder to stay on top in the outdoor photography world), motivation to keep going, and ultimately my happiness." I don't spend time worrying about what other's say, do, or publish. I don't worry about the prices I'm paid for my hard work dropping though the floor. I'm in competition with myself to do the best job I can and make certain that everyone of my clients is taken care of. In other words, I just do what I do, and let the chips fall where they may. So, why am I writing this? I'm writing this because I read a great article about photography and the new generation, and I absolutely loved it! I wanted to share it with my community of photographers. The future is exactly where the past has been. Moving forward. Inventing newer, faster, smaller, better ways of visually communicating. The profession will leave behind those that can't or wont adjust. There's no stopping the momentum. To me it's like a wave. If you're surfing, you're either paddling out and over the wave, riding in front of the wave trying to get enough speed to actually ride the wave (get on top of it), or you crash . . . I feel like I've always been paddling in front of the wave but never really been on the top - "owning it," so to speak. . . As good as some of my work is, (I'm not back slapping, I'm acknowledging hard work,) I still feel like I'm never "killing-it." The younger generation does not worry about "killing it." They "kick-it." They grow their hair out like we did when we were kids and I swear if I had my Welcome Back Kotter (I hope some of you remember that show) t-shirt that said, "up your nose with a rubber hose," I could sell it to one of these kids for a mint! That's just the way things are going . . . No restrictions, and no boundaries. The rules are blurry and becoming more blurry by the day. The younger generation is not compelled to follow the traditional process or get stuck in the quagmire of some sophisticated system of becoming an artist, they just do it! The future of the professional outdoor photographer is positive. There is a future in it for those who are willing to embrace change learn to live the lifestyle . . . So, embrace the future. Move with it not against it. Ride the wave but better yet, skip "killing-it," and go right to "kickn-it." Where do you think photography is headed? What are your challenges? 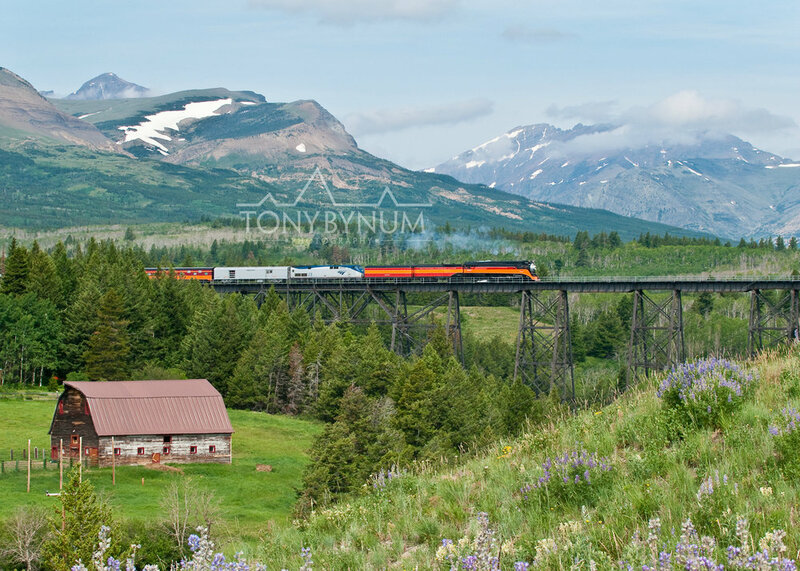 Montana Photographer Tony Bynum Interview - Exhibitions without Walls - "images should stand on their own." Ring, ring, ring - "hello." "Hi, my name is Harry, I love your photographs, I'm planning a trip in July to photograph wildlife, can you tell me where is a good place to find mountain goats?" My first reaction is usually a deep sigh, followed by, "July is not a good time to photograph mountain goats," to which I usually hear, "well, it's the only time I can go." What does it take, time and again, to create great outdoor photographs? I'm not talking about a few good shots over years of shooting, I'm talking about creating consistently good outdoor photographs. Is it location, your shooting skills, time of day, or time of year? I would argue that all of those things are factors, but over time, I've found that three elements are often present in consistently great outdoor photography. These may surprise you. The three things that are more or less present in consistently crafting great outdoor photographs are, proper planning, plenty of perseverance, and a little bit of luck. Let me explain. Planning - always do your homework. Find out as much about the local conditions, from one year to the next as you can. For example, study the light angles, seasonal variations, area closures, limits to access, condition of your subject, etc., You might also find out who's the best photographer in the region and take a look at their work. There are photographs that I know are captured during a certain season, or month - find out the details before you plan that trip. Here's an example. 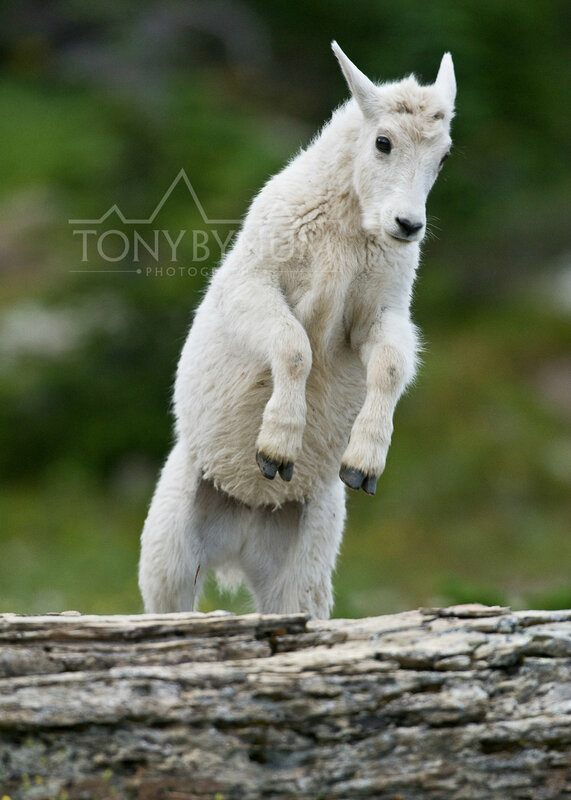 Which photograph of a mountain goat to you think would land on the cover of a magazine - the long white haired one in the rocks one on the cover of Sports Afield Magazine, or shaggy one below? Perseverance - Seldom to I go to a location one time and leave satisfied that I captured a great outdoor photograph. In fact, I almost always needs some time to scout and a second, third, fourth trip is usually in order. I'm almost always create usable images on my first time to a new place, but once I learn the details of the light and the angles, I will continuously produce better outdoor photographs. Luck - There is an old saying, "I'd rather be lucky than good." Well, you need to be both. I've come home from a two week trip and had the photographs from the first day be the keepers and other times, I've had the photographs from the last day be the keepers. The difference was I was there and I got lucky to catch the "action," or the "drama," just right. I call it luck because often times we don't control, nor can we predict down to the day or the hour when the "stars will align," and we get the conditions that allow us to produce great outdoor photographs. You should not rely on luck, but you do have to admit, some is good now and then! There are many things within our control, but at the end of the day, you find consistently great outdoor photographs where planning and perseverance meet with a little luck. By coupling proper planning, and perseverance, and finding a little luck you'll produce more great outdoor photographs.